Ashok Kuppusamy is a group program manager in the FAST engineering team based in Norway. 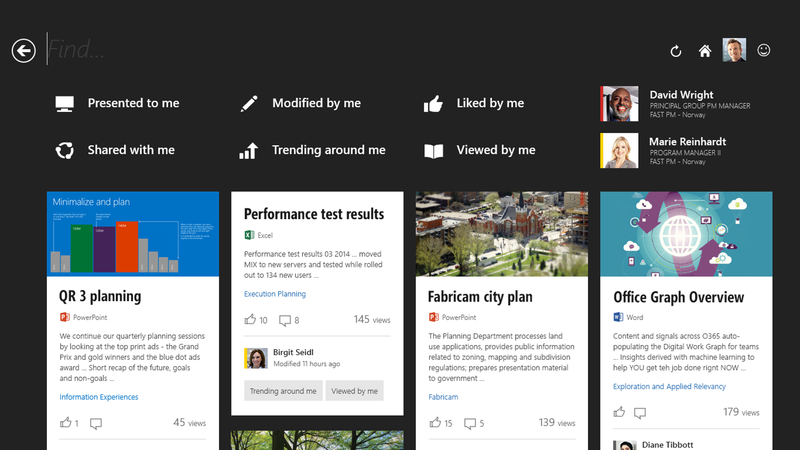 Update 7-9-2014: Microsoft announced Delve as the official name for codename Oslo. We are incredibly excited to introduce the newest member of the Office 365 family: Delve (formerly codename Oslo). 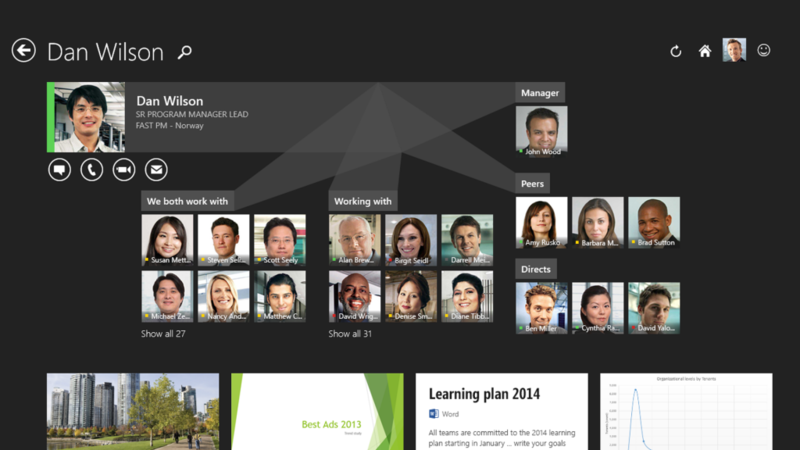 We announced it and the Office Graph last week at the SharePoint Conference keynote. You can get a closer look at Delve by watching this Garage Series for Office 365 episode, shot live while on location at the SharePoint conference, with host Jeremy Chapman and my colleague Cem Aykan. It’s been great to see the level of interest that the announcement has generated. In this blog post, we thought that we’d offer a deeper dive into how Delve delivers next-generation search and discovery. The goal for Delve was not just to reimagine search, but to help people get their work done in a quicker, more informed, and even delightful manner. After all, your job isn’t just to “search.” You use search as a tool to get your actual job done. This more ambitious goal drove us to ask how we could remove the information silos that exist across applications, better support information discovery, and enable teams to work together as a network. The result is not just a search solution, but a new way of working – proactive, transformational, and delightful. Delve is the first in a new breed of intelligent and social work experiences. Rather than list an exhaustive set of features, let’s see how Delve transforms the world of work. If you are like me, your days at work are packed: several hours of scheduled meetings, lots of emails waiting to be read and responded to, and usually a lot of folks who need to talk about urgent issues. There just aren’t enough hours in the day. Sound familiar? Delve can bring moments of peace to those hectic days. It cuts through the noise by showing you what you need to know today, and even what’s likely to be important in the near future. You can see information trending that is associated with what you are working on, and the people within your work network. The information is delivered in a way that is easy to consume and quick to scan. Delve highlights key information of interest to you, based on what you are working on and the actions of people in your network. 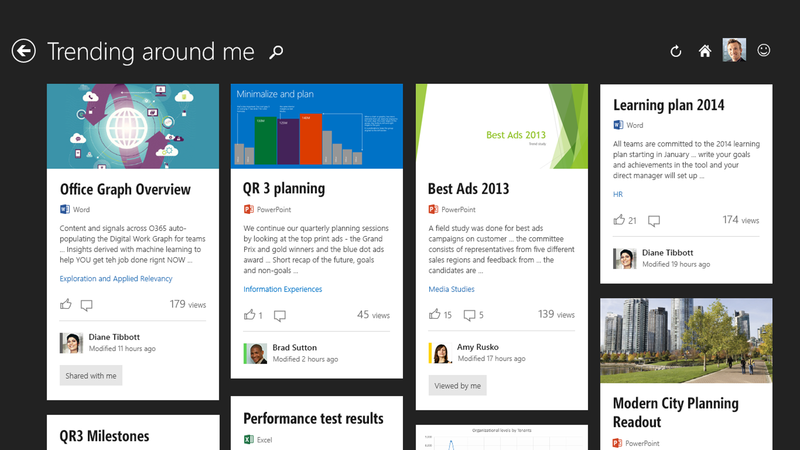 Delve is personalized and tailored to you. For example, what Delve shows me is different than what Delve shows anyone else in my team. How does Delve know what to show you? By using the power of the Office Graph. 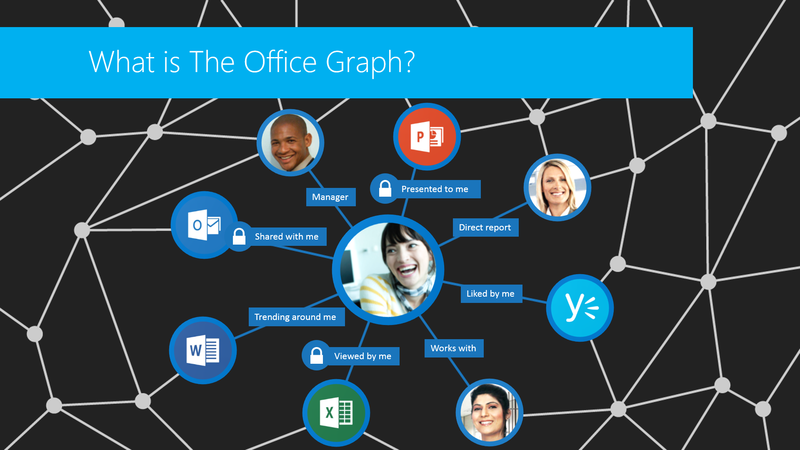 The Office Graph uses sophisticated machine learning techniques to connect you to the relevant documents, conversations, and people around you. 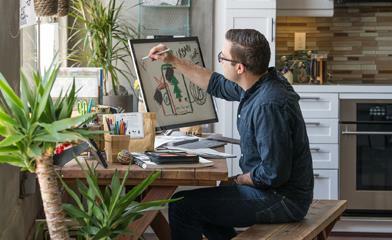 With Delve, you don’t have to change anything about the way you work. Through the Office Graph, Delve is automatically populated with activities you already do every day, such as which documents you share, which people you meet with, and which documents you read. There are private activities, like what documents you viewed, and public activities, like the people you follow in Yammer. Private activities always stay private. During the Winter Olympics, I was in a meeting with my Development Manager, Kjartan Mikkelsen. Kjartan is one of those brilliant people who knows something about any topic you bring up. He presented a great PowerPoint on speed skating and why Norwegians are obsessed with skating lap times. It was an awesome meeting, and I’ll never look at speed skating the same way again. The Presented to me view in Delve with Kjartan’s Speed skating presentation at the top. How does Delve know what was presented to me? It’s the magic of the Office Graph again! The Office Graph knows which meetings you’re in, when someone is presenting, and where the presentation is stored. Delve just connects the dots to show what’s been presented to you. This seeming magic is not limited to just the “Presented to me” view. With Delve, you can navigate all of your work with intuitive, natural views like “Shared with me”, “Modified by me”, and “Trending around me.” You no longer have to remember where stuff is stored in Office 365. Default search view with options for popular filters and people specific to you. For most people, there’s so much information flowing within your work network that it’s hard to have visibility into what is going on around you. For example, say that you need to find the document that your colleague Dan worked on and it’s about the topic of learning. If just type “learning” into any search engine today, you’ll get way too many results because the word “learning” is in tons of documents. With Delve, you can just type “Dan” in the search box. This takes you to Dan’s page in Delve where you can see the documents and people Dan has been working with. Of course, you can only see the documents that you have access to. Delve shows you who you work with and shows you how your colleagues connect. With Delve, you can find anything you need by just remembering a person. It’s way easier for us humans to remember names of people than document names or keywords. This change, connecting to content through people, hints at something truly transformative: a new way to staying “in the know” about what’s around you. It’s the difference between working in an office with a closed door that gives you little exposure to what is going on around you, and working in an open office where you are exposed to information dynamically. This transformation happens even in small teams. Here at Microsoft, when a team is “on Delve,” we see fewer meetings. We send fewer status reports. We cut down “talking about the work.” Instead we all just do our work and see the latest work from each other through Delve. We can reuse information from across our organization more effectively. We provide feedback on the work right away instead of waiting for meetings. The pace of work speeds up, yet we still feel “in the know.” It’s like our entire team is sitting in an open-space room where we’re aware of what’s going on but not being constantly interrupted. We call it “working like a network” because Delve makes connecting with others, building relationships, and sharing information easier than ever before. Delve is also founded on the openness and transparency that drives new levels of productivity. We couldn’t be more excited to partner with you to transform your work and dramatically change the way people get things done. This is just the tip of the iceberg with more to come. Stay tuned for future updates on Delve (formerly codename Oslo)!